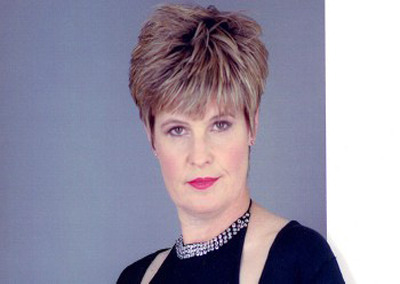 With incomparable range and power, Hazell Dean defined the 1980s for a whole generation. Hazell established a formidable reputation as Queen of the British Clubs, scoring a succession of massive club and dance hits which crossed successfully into main stream charts. Her professional singing career started back in the 1970s when Hazell developed her singing style by performing Pop and Soul numbers but eventually started veering towards dance music, marking a new stage in her career. In 1984 she had her first chart entry with a double A sided record Jealous Love which made the UK Top 75. Two months later Hazell was back in the pop charts with her electrifying recording of Searchin’ which sailed to #6 and remained in the Top 75 for 15 weeks. Hazell sold more singles than any other British female singer in that year. By the end of the 1980s Hazell had become a chart regular, thanks to the single Whatever I Do (Wherever I Go) which reached #4, Back In My Arms (#41), They Say It’s Gonna Rain (#58), Who’s Leaving Who (#4), Maybe (We Should Call It A Day) (#15), Turn It Into Love (#21) and Love Pains (#48). Hazell provided Stock/Aitken/Waterman with their first top 10 hit Whatever I Do (Wherever I Go) and achieved massive worldwide success, having chart hits across Europe, South Africa, Australia and the Far East. However, much of Hazell’s success was achieved in America with “Searchin’” topping the Billboard Dance Charts for 5 consecutive weeks. Love Pains was voted best Hi-NRG remix 1989 and Better Off Without You best commercial 12 Inch single 1991. Along with being voted best female performer 3 times by the Federation of American Dance Clubs, the single They Say It’s Gonna Rain became a Miami Anthem and proved to be massively successful with Florida’s dance radio stations. 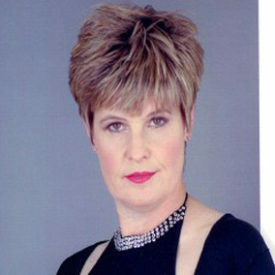 Hazell was also voted best female performer in the prestigious Club Mirror Awards in 1988, and when EMI released Hazell Dean’s Greatest Hits in 1996 it proved to be their most successful album in the hits range of that year. In 2007, Hazell returned to record with Ian Levine, completing the track Trade Him For A Newer Model for the album Disco 2008 . The music video for the song, Trade Him For A Newer Model was released on YouTube™ by Levine in mid Fall 2007. The song continues to receive a very warm reception. Hazell continues to write and produce for established and new artists, and fortunately there’s just no stopping Hazell with her ever popular live show! !